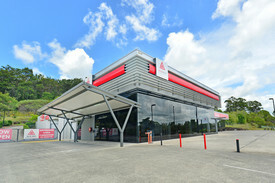 37 Commercial Real Estate and Properties in Sunshine Coast are listed in 9 categories. We have 233 Offices for Lease , 217 Retail Shops for Lease , 192 Industrial Warehouses for Lease , 14 Medical and Consulting Properties for Lease , 8 Development Lands for Lease and 4 Showrooms for Lease . 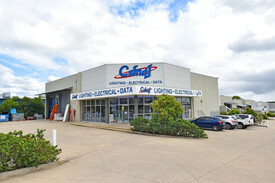 Dual Access Showroom / Quality Office Fit Out Combo | For Lease $4,583.33 P/M + Outgoings..
214m2 Showroom access from the front Rear access via roller door for loading Exclusive car parking at rear Ample onsite car parking for customers Located in well established complex (Dalton Centre) CBD fringe location High profile signage opportunities available Great rental incentives Situated on the fringe of the Maroochydore CBD is 214m2 of the perfect showroom/office combo with rear access available for lease. The current tenant Pool Fab has occupied this building for a number of years and is downsizing the smaller premise. The complex has the best car parking in Maroochydore and ensures your clients/customers will always have a park. The property boasts ample signage opportunities within the complex and on the pylon signboard. 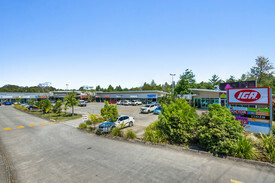 It has great street visibility and is one of the best spaces within the complex. 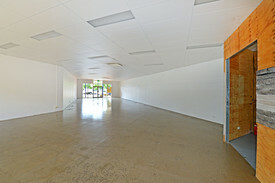 It provides an opportunity for a business looking to grow and establish themselves as a part of the new Maroochydore CBD at an affordable rent. Contact the Exclusive Marketing Agent for further information on this property. Corner Location Premier Circuit Main Drive $103,250 p.a. + Outgoings..
Retail/showoom Tenancy - Available Now $350 per m2 + Outgoings +..
115m² Suit a variety of stores Pilates/yoga studio, beauty, real estate, travel agency, law firm or health food specialist Open plan space available to fit out to suit your requirements. 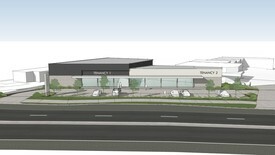 Ample on site parking Motivated Landlord open to offers Enquire now! Approx Disclaimer: Ray White has not independently checked any of the information we merely pass on. We make no comment on and give no warranty as to the accuracy of the information contained in this document which does not constitute all or any part of any offer or contract by the recipient. Prospective purchasers / lessees must rely on their own enquiries and should satisfy themselves as to the truth or accuracy of all information given by their own inspections, searches, inquiries, advices or as is otherwise necessary. No duty of care is assumed by Orchid Avenue Realty trading as Ray White Surfers Paradise Commercial divisions toward the recipient with regard to the use of this information and all information given is given without responsibility.